This is article #41 out of 50 in The Startup Marketing Playbook. Every time a new employee joins your team, you need to educate them about your story. It should be hammered into their mind from their first day on the job. You need a comprehensive slide deck that marketing presents to new hires, breaking down the core concepts of your story. Depending on their role, it may be valuable for new hires to read your ebooks, listen to webinars and join sales demos to see the messaging in action. This is article #40 out of 50 in The Startup Marketing Playbook. I admit it, I have a sweet tooth. But hey, so do a lot of us, so keep candy in mind as a simple, inexpensive and effective giveaway. Stick with the big bag of assorted name brand chocolates. I’ve tried printing branded candy… the chocolate is usually low quality. The wrapper ends up in the trash, so just stick to better candy that people actually enjoy. This is article #39 out of 50 in The Startup Marketing Playbook. The ideal owner for collateral is the Product Marketing Manager (PMM). They should be listening to sales calls, interviewing customers and crafting the company’s messaging and positioning story. While many stakeholders will be pushing for different collateral items, the PMM needs to act as the central hub, prioritizing the collateral roadmap. This is article #38 out of 50 in The Startup Marketing Playbook. I like to start each meetings with a round of highs and lows. Each team member shares an update about the best part of their weekend (high) and then the worst part — often humorous (low). It’s a great ice breaker that helps the team bond and establishes a talking mood. Try to ensure that the team members keep each update brief. This is article #37 out of 50 in The Startup Marketing Playbook. Similar to your story for target customers, you need to craft a story for target recruits. What are the core value props of your team over others? How can you clearly communicate the culture, perks and opportunities? Follow a similar strategy to the Craft a Startup’s Story post here. This is article #35 out of 50 in The Startup Marketing Playbook. 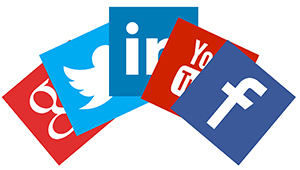 Social media is an important distribution channel for inbound content. Depending on the target persona, social media can also be a fantastic way to communicate, drive word of mouth referrals and generally build brand recognition. The first step for social media is to identify a handle (i.e. username) that can be consistently used across all digital properties. This may be difficult as many handles are already taken. In general, try to keep it short, avoid hyphens, underscores and random numbers. It may not be possible to get the best handle on every channel, and that is acceptable as long as the most important channels have the right one. For example, my company has the Twitter handle @netpulse, Facebook page facebook.com/netpulse but Instagram handle @netpulseapp. This is article #33 out of 50 in The Startup Marketing Playbook. Here’s what I think happened: engineers are always talking about the “stack” they develop in: simply the list of programming languages and template libraries they use to program. Marketers maybe felt a little jealous and also wanted to have a cool way of explaining all of the tools we use. 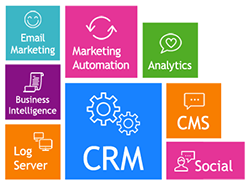 Therefore the emergence of the term “marketing stack.” Similar to engineering, this is a list of the many software applications marketers use to manage campaigns, measure and develop marketing activities. The competitive landscape for marketing tools is an absolute bloodbath — there are hundreds of valuable SaaS apps for marketers to leverage for better performance and efficiency. Selecting the right mix of tools (i.e. stack) is important to ensure they all work together seamlessly. This is article #32 out of 50 in The Startup Marketing Playbook. Despite the explosive growth in digital marketing over the last decade, good old fashioned email continues to be a primary channel for inbound marketing. Once targets provide their contact information to download a piece of valuable content they become a lead. You now have an opportunity to email them additional content each week, continuing to nurture the relationship until that lead “raises their hand” to request a demo, therefore becoming an MQL. These emails look as if they were sent personally and have a familiar look that drives responses. They are best utilized in nurture workflows or automatic responses to an action, like downloading a piece of content.